Powerful - plays all common file types (MOV, MP4, MKV, AVI, MTS, WMV, M4V, MPG, WEBM and more) with ease. 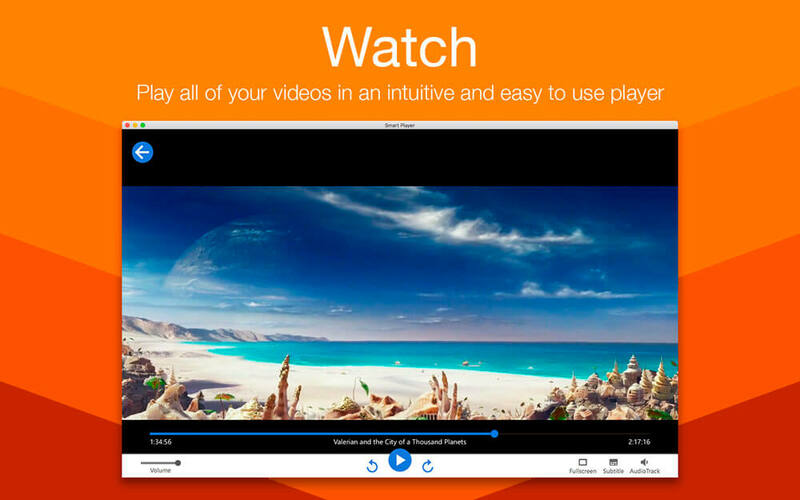 Intuitive - resume playback of videos from exactly where you left off. 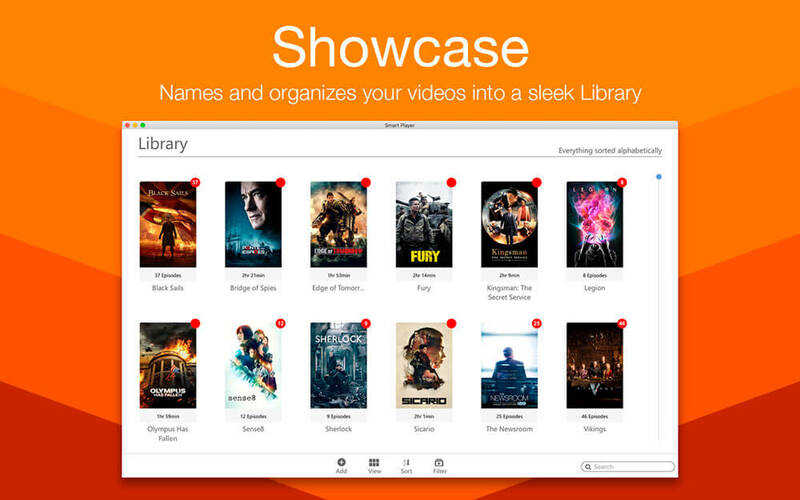 Organize - the built-in Library recognises and groups movies, TV shows and home videos. 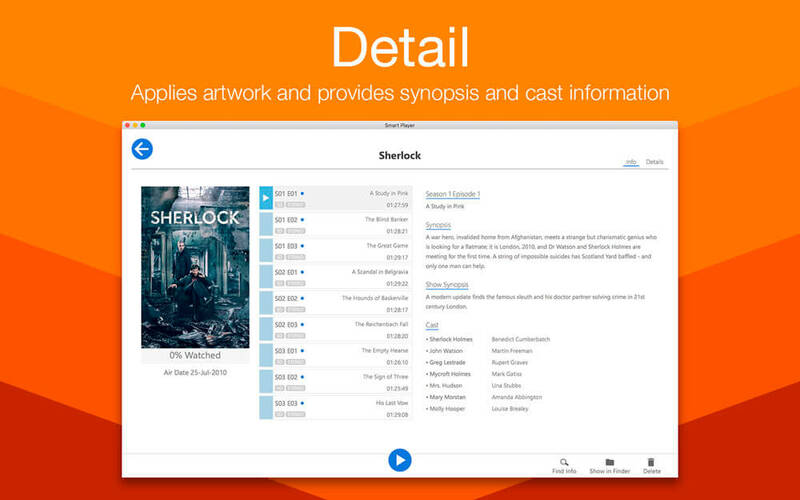 Detail - automatically downloads and displays details, descriptions and artwork for movies and TV shows. Monitor - automatically updates the Library with any changes made to nominated folders. Customise - manually search for and edit information and change the artwork in the Library.